How do you remodel your bathroom to reflect your personal style? Do you know how to make it deliver the comfort you want? Yes, you can remodel your bathroom to reflect your personal style (or your family’s preferences) while making it deliver the comfort you want. If you’re going to renovate your bathroom, make sure you do it right. 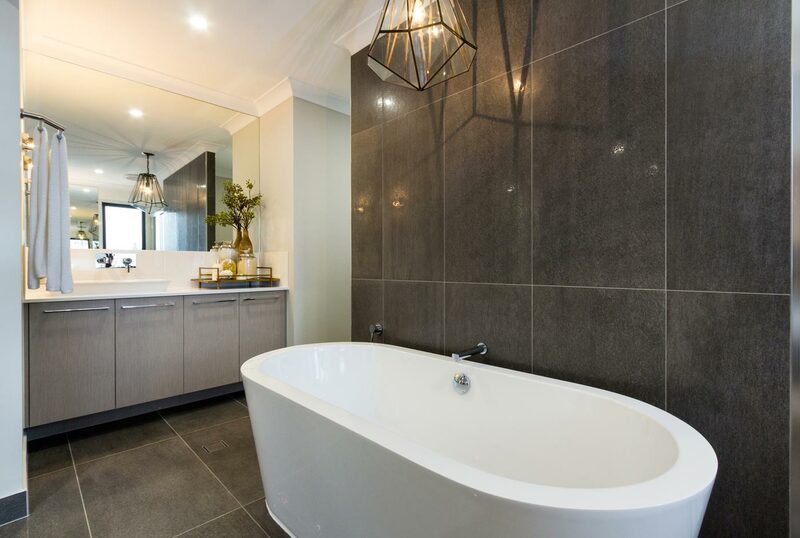 The bathroom has surpassed its image as just a room for function, with many people taking time to ensure their renovation delivers a relaxing sanctuary where self-pampering is a priority. Meanwhile, the laundry is still seen as a space for duties. However, a little forethought in planning can also mean a friendly and workable space. When it comes to design it’s important to know what you do and don’t like. Have a look through magazines and brochures and visit showrooms and display homes to get a feel for different styles. Think about what you do and don’t like in your current bathroom or laundry. Then put together a journal of images and notes and take this with you to your chosen designer. To ensure you get your dream bathroom we suggest you hire a designer. A Certified Bathroom Designer (CBD) has undergone a professional industry approved training course, a minimum of three years industry experience, meets minimum standards of commercial behavior and probity and is committed to keeping their skills current through continuous professional development. A CBD is specifically trained to design rooms that are functional, accessible, safe, ergonomic, efficient, aesthetically pleasing, and integrate personal and family lifestyle needs. Remember, your designer is there to help you. Keep the communication channels open and don’t be afraid to say no if you don’t like something. For more information on choosing a bathroom designer make sure to check the section on bathroom checklist. There is no such thing as a Certified Laundry Designer. However, if you would like a designer for your laundry a CBD should be able to handle the job. 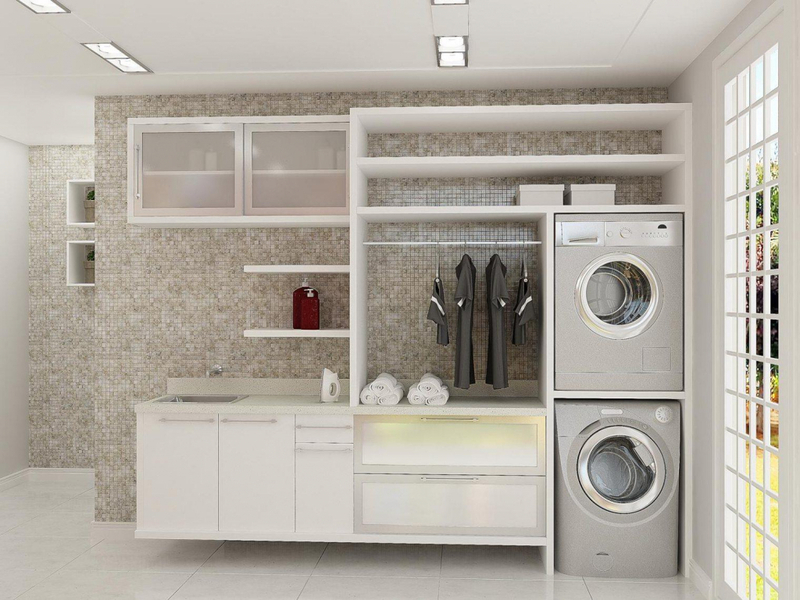 The bathroom and laundry are both energy-sapping centers in the home. To reduce your energy consumption follow the environmentally friendly tips below. Installing a water-saving AAA shower rose instead of a full flow shower, will save around 110 liters of water over a 10-minute shower. Also, any replacement toilet suite will be a dual flush system. 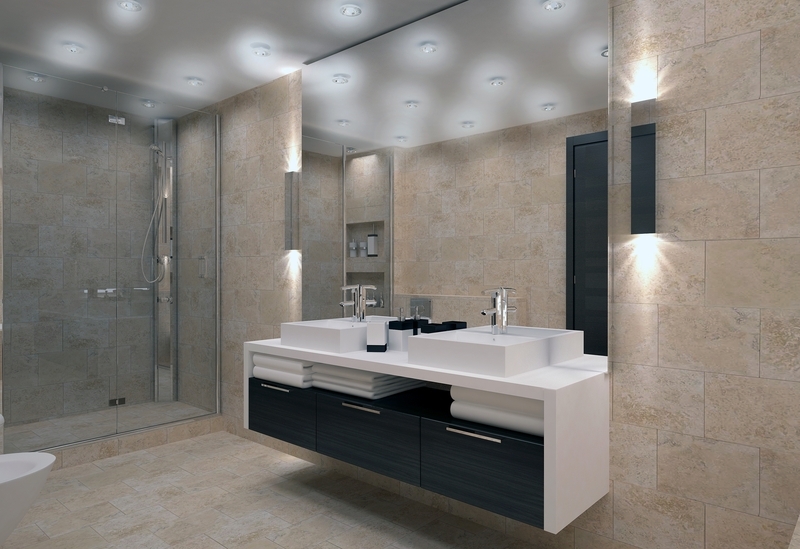 Lighting is a vital part of bathroom design. Introduce as much natural light as possible, through the use of windows, skylights and glass bricks. Another efficient and cost-effective way to reduce power consumption is by adding dimmers to lights. It is imperative that the bathroom has properly insulated ceilings, walls, and floors. Ensure that the products used are the most energy efficient available and avoid heating when not in the room. Radiant heat is more efficient than space heating in a bathroom. Solar hot water systems (either boosted by gas or green [electric] power) would be the hot water service of choice. It can reduce gas and electricity usage and can save you money in the long term. There are government rebates which can help offset the initial cost of the unit. Star rating efficiency labels must be displayed on all washing machines and clothes dryers offered for sale. The rating varies from one star to six, with six being the most efficient. Front loading washing machine generally is more energy and water efficient than top loading machines. Discover different ways to save when you’re renovating your bathroom or laundry. Bathrooms are generally a costly investment and a carefully thought-out budget will protect you against money-related disasters. Purchasing second-hand materials is a great way of reducing costs. Classified advertising publications (such as the Trading Post newspaper) can be a great source of second-hand materials. However, be aware that buying second hand often means compromising and it can take a long time to track down the items you are after. Sourcing items that have minor flaws or damage is also a good way of reducing costs. For example, you can purchase factory second tiles and fittings that have minor flaws or buy a chipped or stained basin and bath and have them resurfaced. There are now a number of good-quality, reasonably-priced ready assembled units available on the market. Try one of these instead of getting your cabinetry custom made. Movable storage bins can be a lot cheaper and more versatile than fixed under-bench cupboards, making them a budget alternative for storing washing supplies and garden tools in the laundry. Keeping the laundry in a cupboard rather than a room can help to keep costs down. The scope of the project determines a lot about the cost in the bathroom. A facelift, such as changing taps and other accessories, won’t cost you much but changing the plumbing will. Plumbing: Changing the plumbing positions can cause the price of your renovation to skyrocket. Use existing positions wherever possible. Waterproofing: You need to seal any wet areas against water so make sure you factor this into your budget. Workmanship: Be aware that individual renovators and designers may vary greatly in their fee. Cabinetry (inc. doors), benchtops, wall tiling. Taps, sink and other plumbing fixtures. Shower and shower screen, bathtub, toilet. With the bathroom, you should keep in mind that the floor, benchtops, and walls are key focal points and can be costly to redo. One option is to keep them neutral and add color with furnishings and accessories. Making the floor either darker or lighter than the cupboards can also create an attractive contrast in the bathroom. A critical part of a bathroom renovation. There are several methods and cost is usually a major consideration. Your contractor (unless appropriately qualified) will engage a professional waterproofer who should provide a guarantee. What rooms are to be renovated the main bathroom, ensuite, laundry or toilet? How many people use the bathroom or laundry on a regular basis? What is the age of each member of your household? What are the heights of the members of your household? Does anyone have physical limitations? Be aware of your financial limitations and ensure that your designer is too. 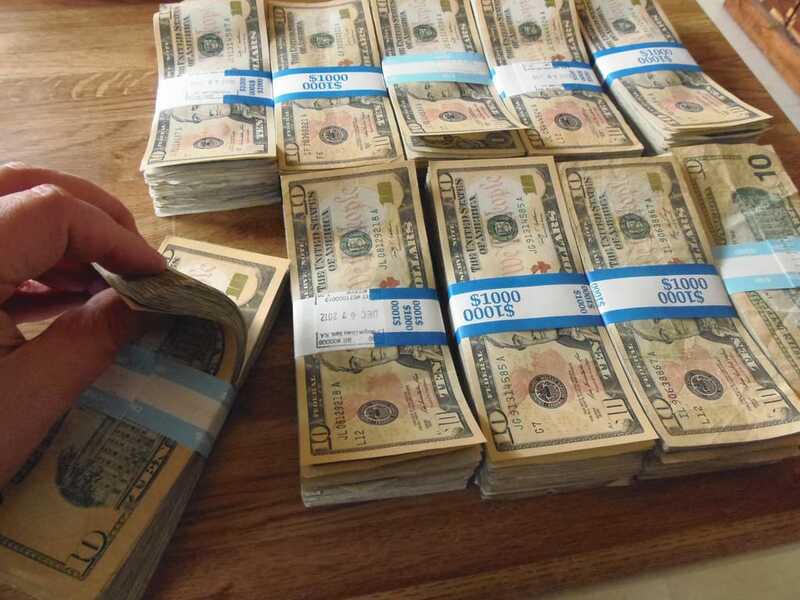 You need to be realistic about what you want and what you can afford. For more information about hidden costs and how you can save money in the bathroom and laundry make sure you read the section on bathroom and laundry budget. How to make the most of your bathroom when space is limited. Light colored walls and floors can make a room seem larger. We suggest using pastel tones, neutrals or whites. Placing the toilet in an alcove will make efficient use of a small bathroom. Make sure you include adequate storage as clutter just exacerbates the problems of a small bathroom. Exposed shelving or floating cabinets are a good option, with the latter leaving more exposed floor space. Mirrors are a great way to add depth, width, and length to a small room but are careful not to overdo it, one mirror is generally enough. The mirror will also help to distribute light throughout the room. The feeling of space can be generated by more visible tiled floor. This can be produced with floating cabinets and a pedestal or wall mounted sink. The vanity unit, on the other hand, takes up a lot of floor space and is best avoided. Vertical lines add height to a room thus tiles that are extended to the ceiling can make a small bathroom feel larger. Clear shower screens, as opposed to opaque, gives the illusion of more space and light. A fully frameless shower screen doesn’t create any visual barriers at all and can work brilliantly in a small bathroom. Don’t clutter your walls with towel racks. Hang them on the back of the door instead. 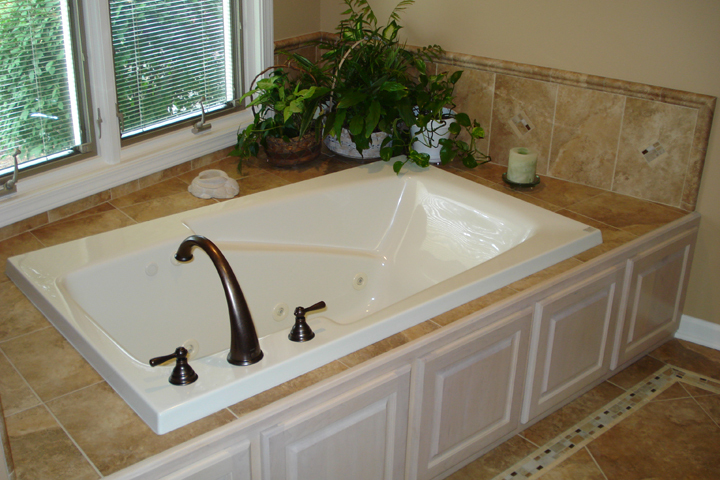 If you need to include a relaxing bath then head for a small but deep model. A Certified Bathroom Designer can help you create a great bathroom. Waterproofing is a critical part of a bathroom renovation. You’ll need to take your lifestyle and budget into account. A step-by-step guide to renovating your bathroom. Bathrooms are a major concern for most renovators. Here are some pointers to help you get the most out of your makeover. Renovating the bathroom is a huge project and you have to get it right the first time. While we suggest you do your own research we advise hiring both a designer and renovator to ensure a successful job. That leaves you to manage the family around the building site. Compile a list of experienced bathroom designers and renovators. Calling them will give you an initial impression and you can ascertain whether they would be available to do the job. To find a designer you are happy with, it is essential that you like their style so make sure you view some of their past work, ask for referrals and/or visit their website. To choose a renovator, ask for details of past work and recommendations from previous clients. Then obtain and compare quotes from at least three different vendors. Make sure the bathroom renovator you select is properly licensed if this is a requirement in your state. Pack everything that is not needed into boxes before the installation starts, that way your possessions won’t get dusty. Block doorways to adjacent rooms with plastic to avoid dust getting in. Make sure you know exactly what features won’t be available when. You may choose to stay in a motel or go to a friend or relatives place when things are most hectic. Keep everyday items within reach. Toothbrush and toothpaste, soap, hairbrush, hair products, hair dryer, shampoo and conditioner, deodorant, razors, and towels are always useful to have on hand. The renovation is actually a work site where health and safety issues apply. Be careful not to touch anything and arrange for children and pets to be kept out of the construction area. Delays are part of the building process due to many different subcontractors, workers, and suppliers being involved. A complete bathroom renovation can take some time. Let your neighbors know when workers will be entering and leaving your home and inform them that there is likely to be some noise. Warranty. Ask your renovator for details of the warranty covering their work. Keep a list of any problems that you encounter and supply your renovator with this list approximately three months after completion of the project. Different parts of your bathroom or laundry may need special care and attention. Your renovator will give you tips on how to clean and maintain your basins, taps, shower screens, and other surfaces. Extra features, such as spa baths, will also have specific cleaning instructions. Hiring a designer and a building professional will help ensure your renovation is a resounding success. The renovation will be significant disruption to your life – make sure that you’re prepared. Ask your renovator for warranty and maintenance tips and keep a record of any problems you encounter. Handy planning hints to ensure your renovation results in a functional bathroom. Keep the toilet away from swinging doors. You may be able to use a sliding door instead. Leave plenty of room for shower screens. Ensure against potential hazards, particularly if there are children in the home, by locating power points, taps and appliances safely. Make sure that power points are always a minimum of 500mm away from the nearest water source. Ensure the shower head and sink is at a comfortable height for all people in the household. It is easier and cheaper to install additional power points before the cupboards and tiles are in place. Check that there will be enough bench space and power points around the basin and mirror. Work areas need good lighting so consider the size of the windows and the position of overhead lighting in your bathroom.Try to keep the main plumbing outlets in the same position as this will help you minimize costs. A well-ventilated bathroom is also essential. Decide if you would prefer natural or mechanical ventilation. Adequate storage areas are very important. They should allow for visual and physical access. Consider placing windows closer to the ceiling so that there is more space for storage. Visualise doing everything from opening the cabinet doors to washing your hands and having a shower in your new bathroom. Ask yourself if the design is going to work for you. 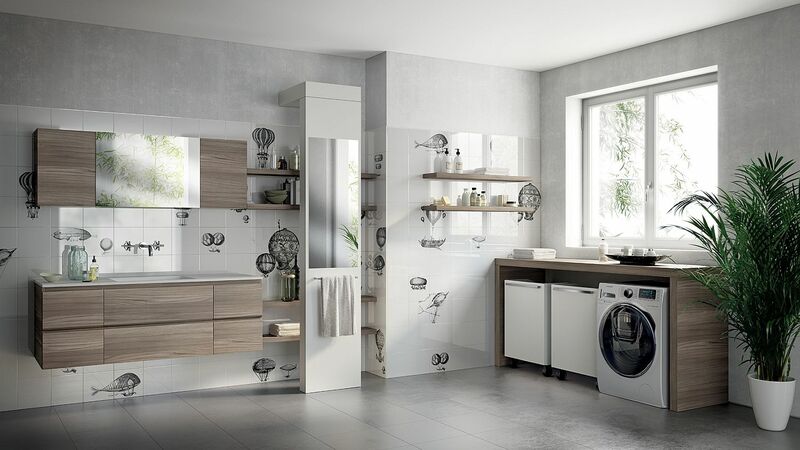 Plan the ultimate laundry with the help of our clever design hints. As the laundry is first and foremost a workspace, take some time to think about its layout. The laundry should be practical and easy to use. Make sure the washing machine and clothes dryer are well placed so that it is easy to transfer clothes directly from the washer to the dryer. Consider a place for hanging clothes that comes straight out of the dryer or do not need to be dried in the sun. Don’t forget storage space for detergents, stain-removal, and laundry aids. Allow space for a clothes basket for dirty clothes. If you want to store your ironing board in the laundry make sure you include a cupboard tall enough for it to fit. Ideally, some bench space should be included in your laundry. Doing a bathroom renovation shouldn’t be something difficult as long as you have the right idea and the mindset to see it through. With this guide, you should have a good idea how to reshape your bathroom and make it look appealing to you and your family. 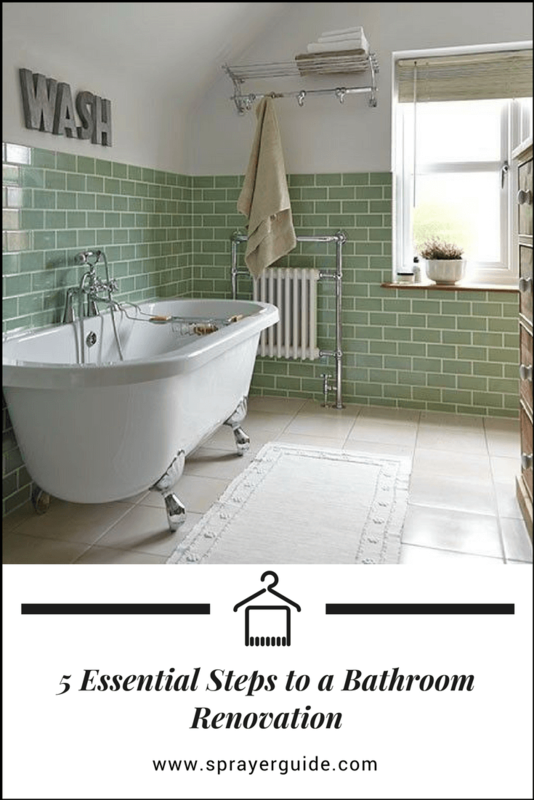 Do you have any tips or tricks you have used to achieve a stunning look in your bathroom? Let me know in the comment below. And if you enjoy this post, share it with your friends on Pinterest.